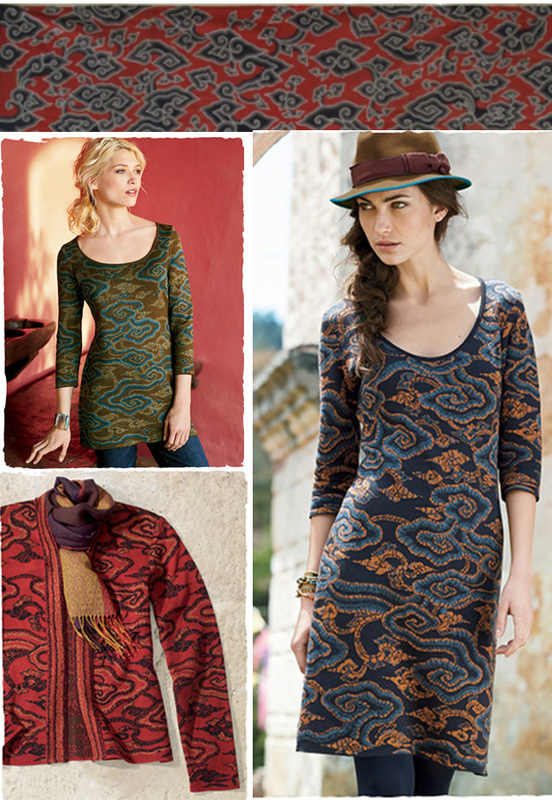 The Fall 2013 collection features delicate floral prints, rich detail and ethnographic patterning. 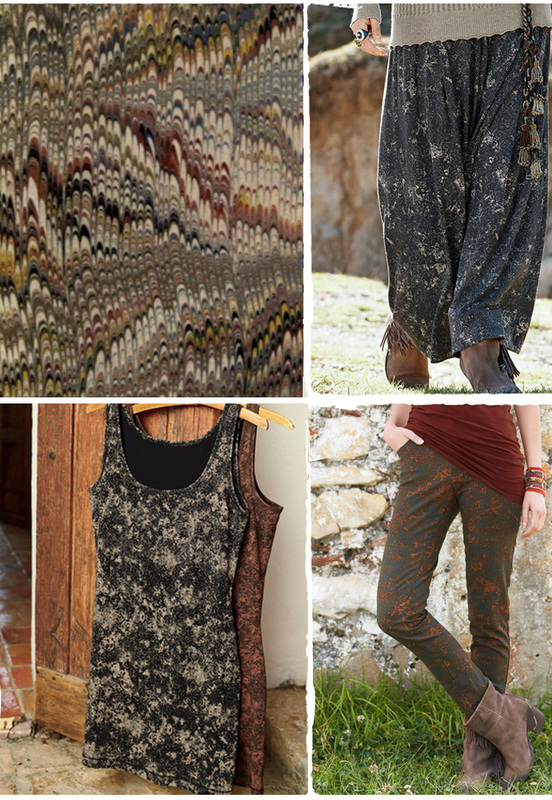 Inspiration comes from many sources, including ancient textiles, the work of artisans from around the globe, as well as the beauty found in nature. July 24, 2013 Happy Peruvian Independence Day! 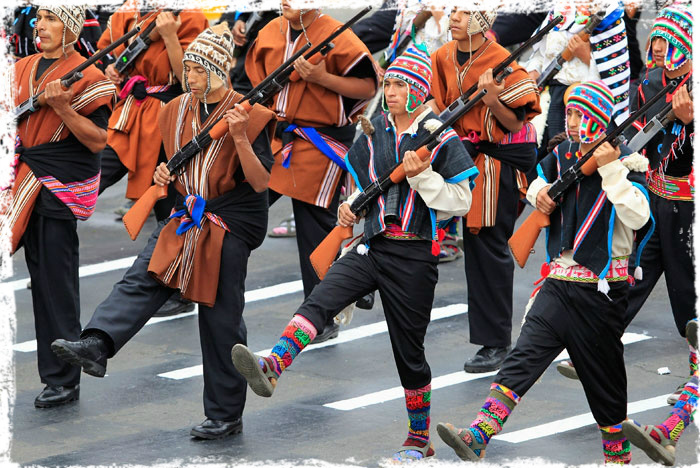 Members of Peru’s Committees of Self Defense participate in a military parade to celebrate Peru’s Independence Day in Lima. Photo by VOSTOCK-Photo/REUTERS/Enrique Castro-Mendivil. 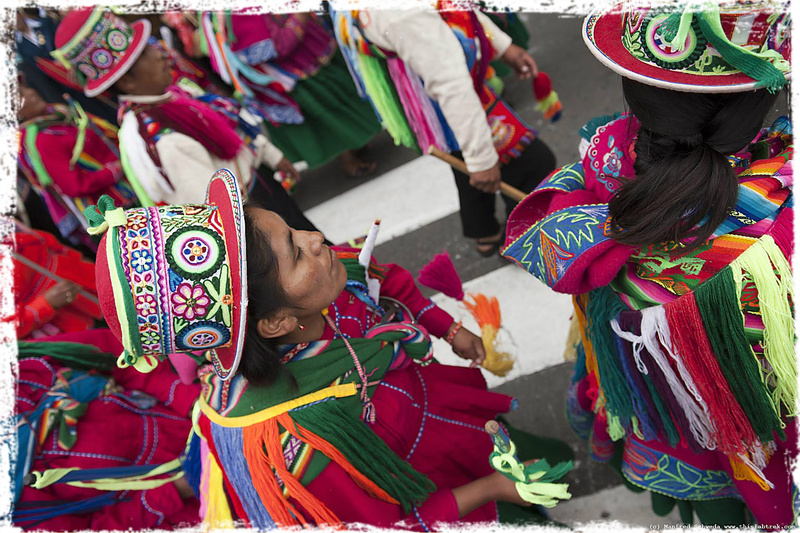 Although Peruvian Independence Day is officially on the 28th, this time-honored Fiestas Patrias is celebrated with two full days of festivities. 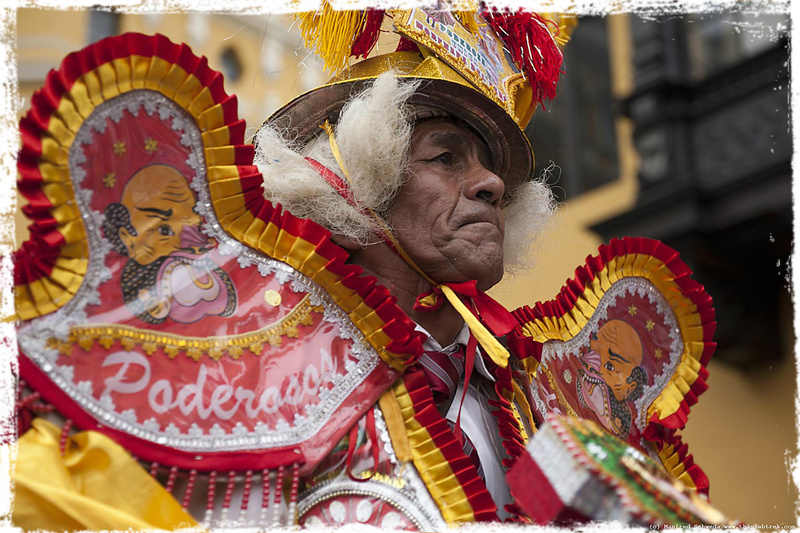 On July 27th, Peruvians often play folk and Creole music in plazas and public parks. At dawn the next day, a 21-cannon salute heralds the raising of the national flag followed by a presidential speech, exciting bullfights, parades, fireworks, fairs and exhibitions. Indigenous crafts and traditional foods, including Alfajores and Ceviche, are showcased during these celebrations. On July 29th, the morning starts with a mass led by the Archbishop of Lima, followed by The Great Military Parade. Then families and friends get together for parties and general merriment. Tourism often increases as visitors come from all over to join in the celebration. 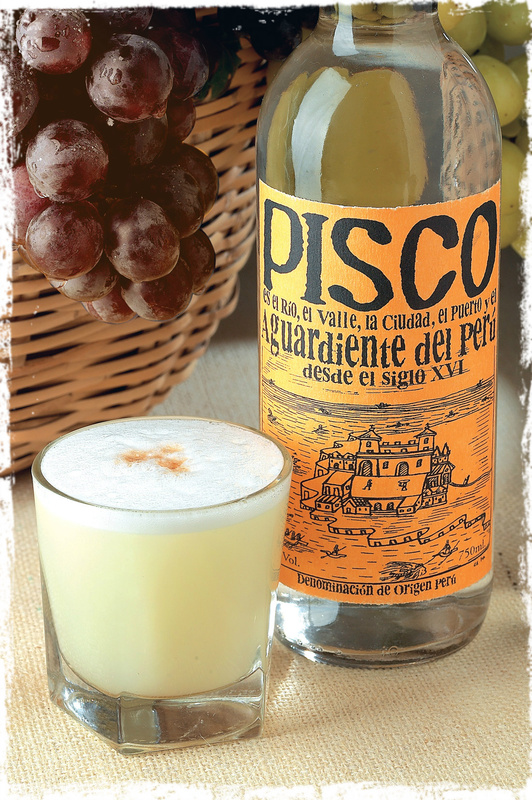 In a blender, add pisco, sugar, fresh lime juice, egg whites and a handful of ice cubes. Blend until smooth and serve straight up in a chilled martini glass or champagne flute. For an aromatic garnish, top with a dash of angostura bitters and a wedge of lime. If you prefer not to blend it, add all of the ingredients into a cocktail shaker. Shake well, then serve. 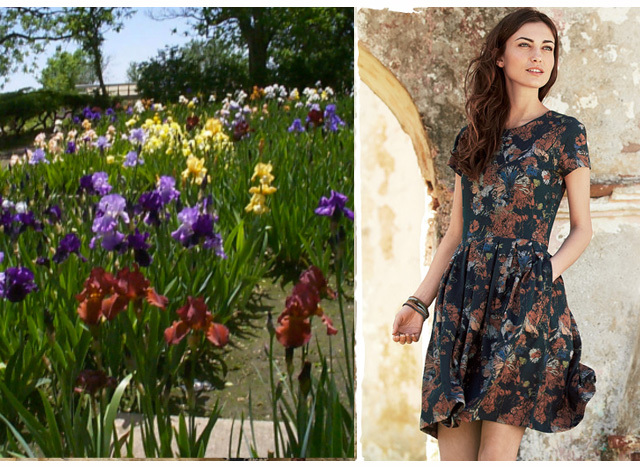 The Little Black Dress (LBD) is a fashion staple that every woman should have in her closet. 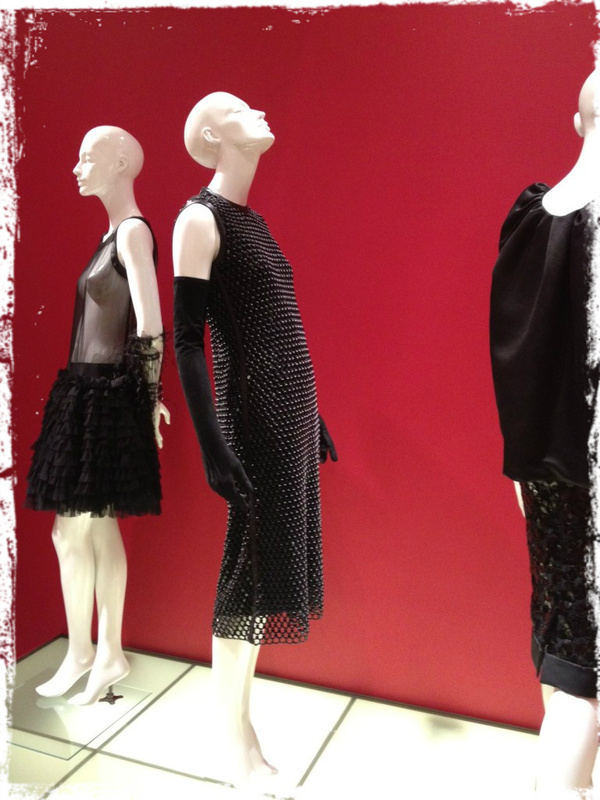 LBDs come in every shape and fabric, making them the perfect foil for year-round style statements, and now the centerpiece of a fashion exhibit in Paris. “Little Black Dress,” is a show organized by the Savannah College of Art and Design and curated by Andrè Leon Talley, former editor for U.S. Vogue, at the Mona Bismarck American Center for Art & Culture in Paris. 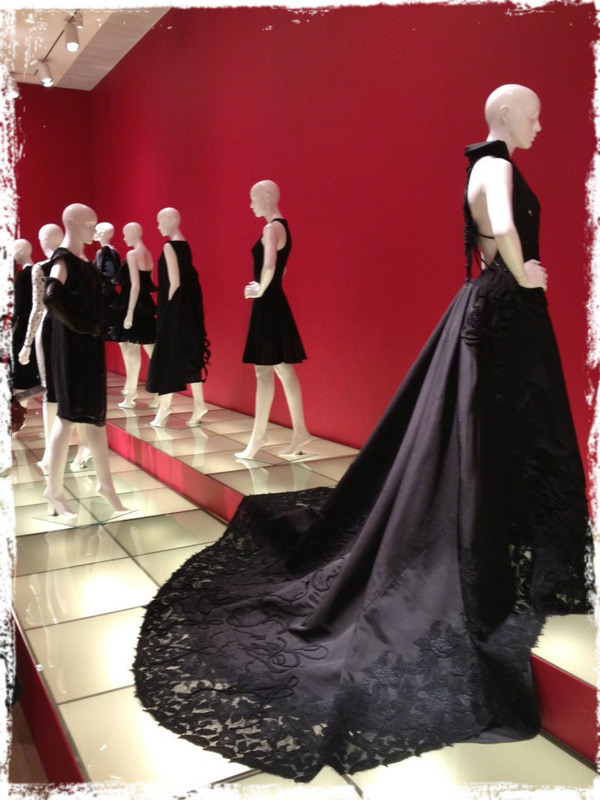 The exhibit is on display from now through September 22 and highlights the versatility and timeless appeal of the LBD. “Little Black Dress” features approximately 50 garments from a canon of modern fashion designers, including Vera Wang, Marc Jacobs, Riccardo Tisci, and Oscar de la Renta, as well as pieces worn by those on the International Best-Dressed List. Caroline de Maigret, 2001 Peruvian Connection model, attending the debut of the Little Black Dress exhibit at the Mona BIsmark American Center for Art & Culture in Paris. Photo by VOGUE. 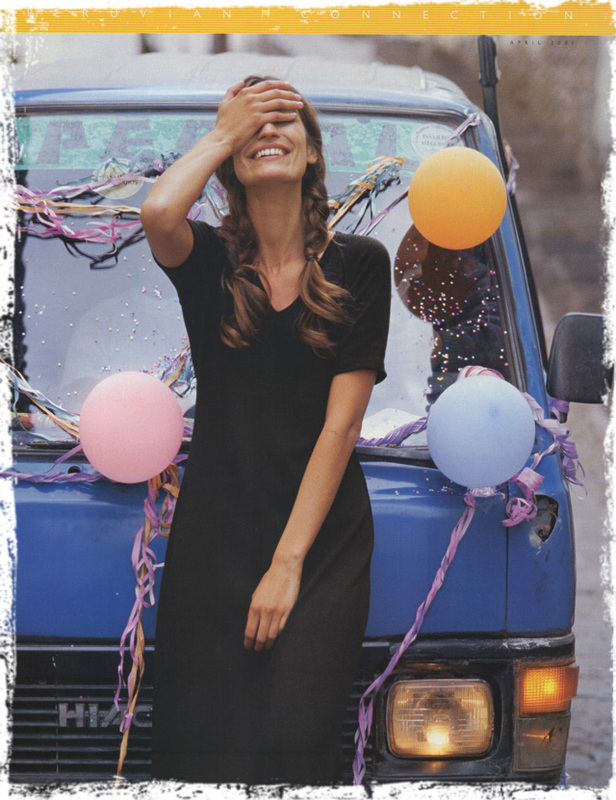 Peruvian Connection Spring 2001 cover featuring CHANEL muse and music producer, Caroline de Maigret. The debut of the “Little Black Dress” show during couture week in Paris this month drew numerous notable designers and attendees, including CHANEL muse and music producer, Caroline de Maigret. 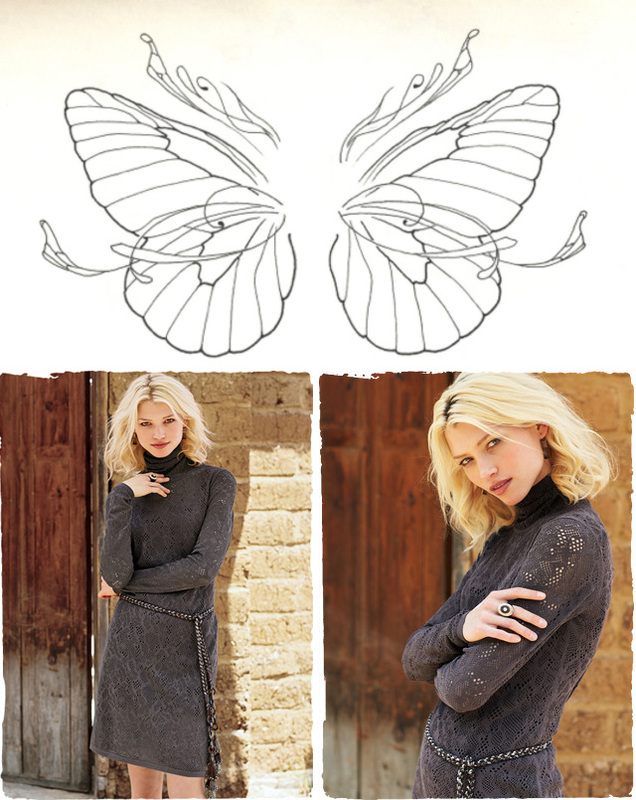 Caroline was a model for Peruvian Connection in our Spring 2001 catalog and has walked the catwalks for design houses like CHANEL, Balenciaga and Marc Jacobs. The evolution of the LBD across social and fashion history through the 20th and 21st centuries is a visual treat worth seeing. Visit www.monabismarck.org to find exhibit days and times. 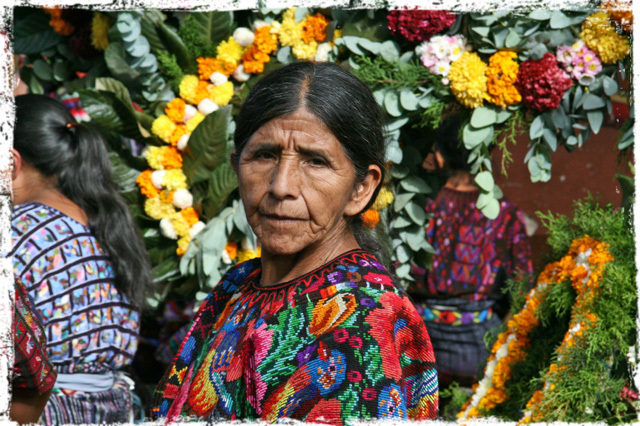 A Huipil (pronounced wee-peel) is the traditional garment worn by the indigenous women of Mexico and Central America. 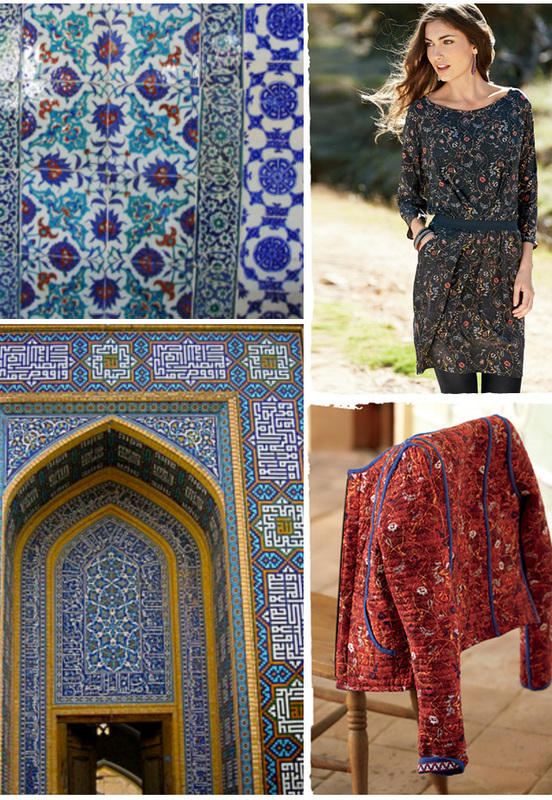 It is a loose-fitting tunic, made from rectangular pieces of fabric joined together, with an opening for the head, and often with open sides. 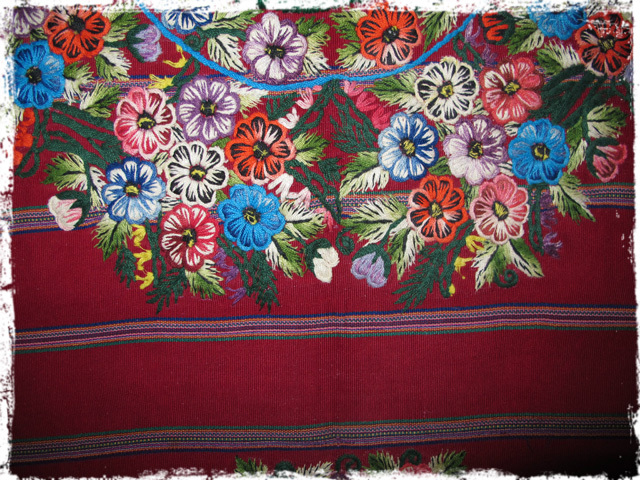 Huipiles are usually woven of cotton on a backstrap loom, heavily decorated with designs woven into the fabric, then further ornamented with embroidery, ribbons, lace and even feathers. 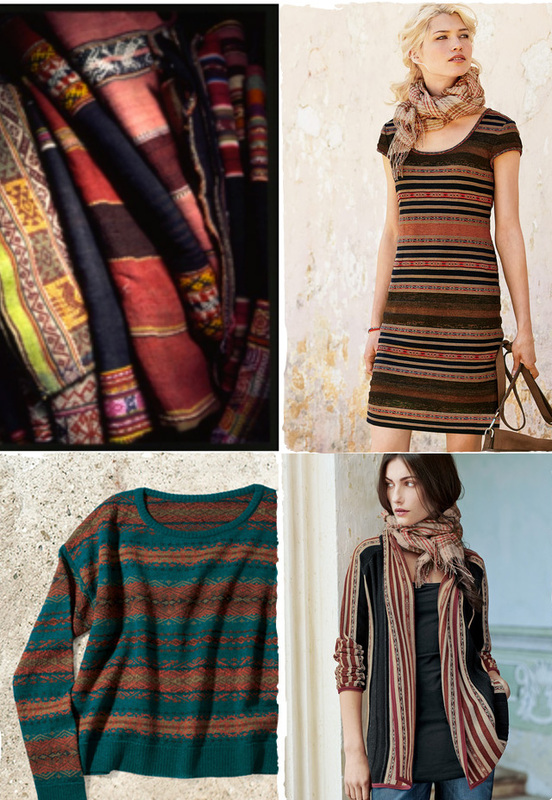 Decorative elements are often arranged in striped bands. 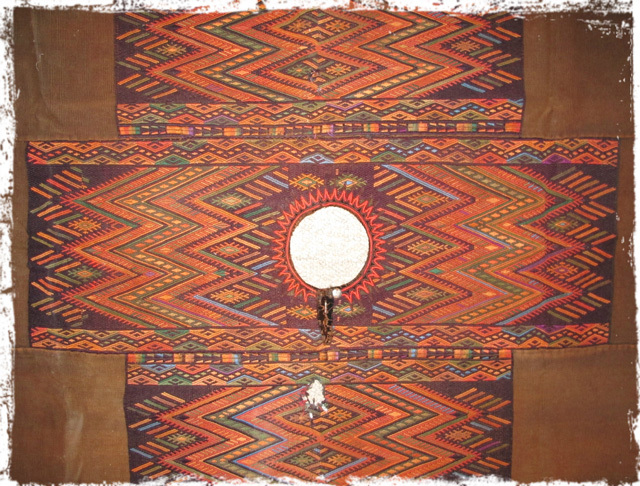 The style of the huipil indicates the woman’s ethnicity and community and the decorative elements can signify history, cultural identity, or something personal about the wearer. A Guatemalan woman in a huipil embroidering a belt. Each village has a distinctive style, and the huipiles of Chiapas, Mexico, the location of our Fall photo shoot, are rich in symbolism with images of gods, flowers, frogs and other mythological influences. 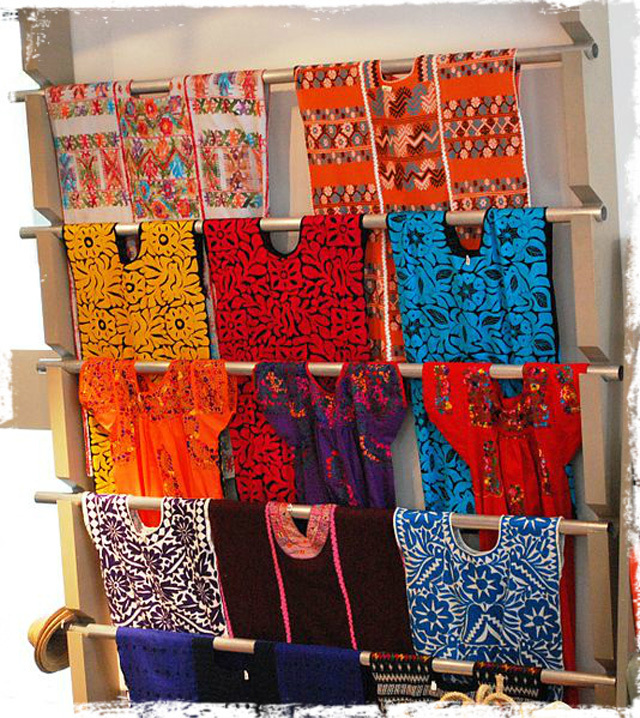 Other Chiapan huipiles are made of white cotton ornamented in feathers, sewn with colorful thread. These feathered huipiles are used for weddings, believed that they ensure a good marriage. 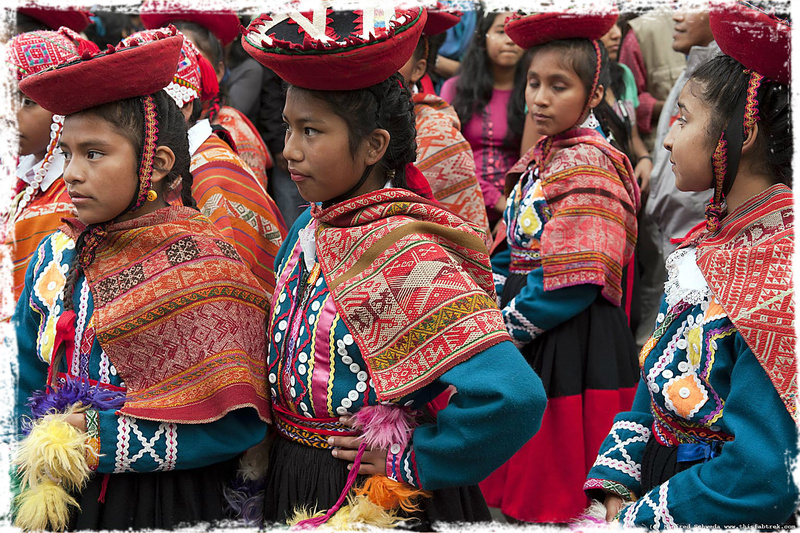 The making of traditional huipiles is an important cultural and economic activity, especially where most women wear traditional clothing. 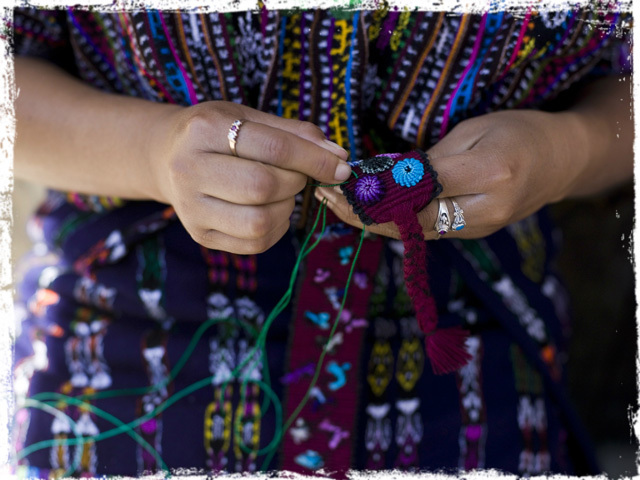 Young women learn techniques and designs from their mothers and grandmothers. The weaving is an important source of income in many agricultural communities. 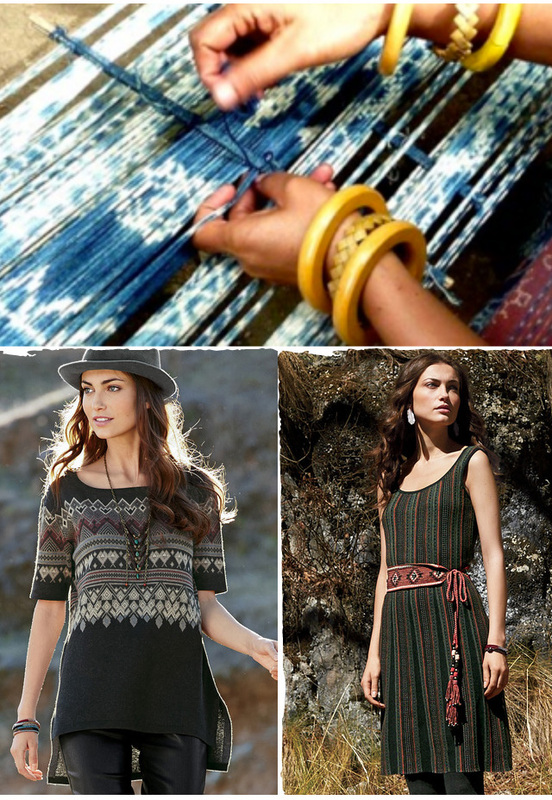 While they design and weave household items such as tablecloths and other items of clothing, the most popular and most valued remains the huipil. Floral and stripe huipil from Patzún, Guatemala. It is a ritual act when a woman puts on her huipil, especially a ceremonial one. She becomes the center of a symbolic world as her head passes through the neck opening. With her arms, she forms a cross and is surrounded by myth as between heaven and the underworld. Maya woman in Chichicastenango, Guatemala on All Saint's Day. Ceremonial huipiles are the most elaborate and are reserved for special occasions, burials, for women of high rank, and even to dress the statues of saints. In a number of indigenous communities, an extravagant huipil is made for a woman’s wedding, then carefully stored to be used for her funeral. 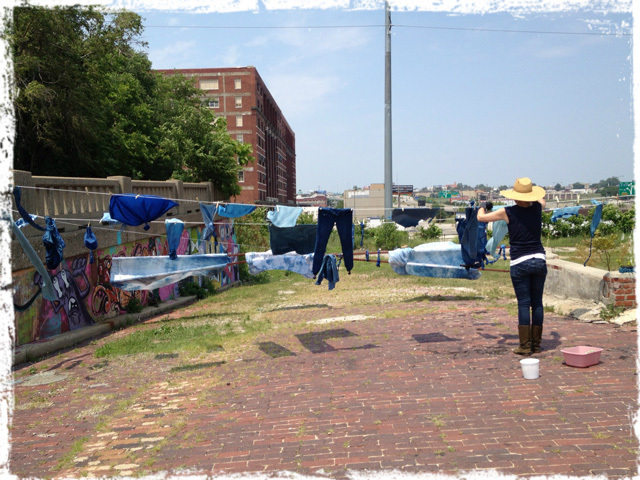 Peruvian Connection’s designers got the blues this past weekend when they participated in an indigo dyeing workshop in Kansas City. 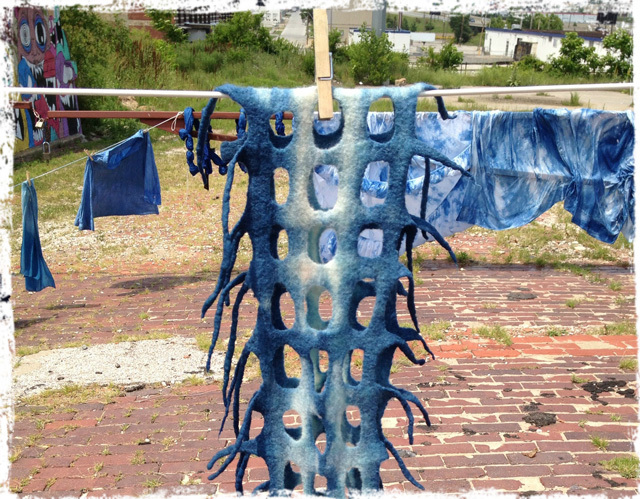 Taught by renowned fiber and textile artist Neil Goss, they learned the techniques of dyeing with natural indigo, using native Kansas sumac leaves as a mordant. 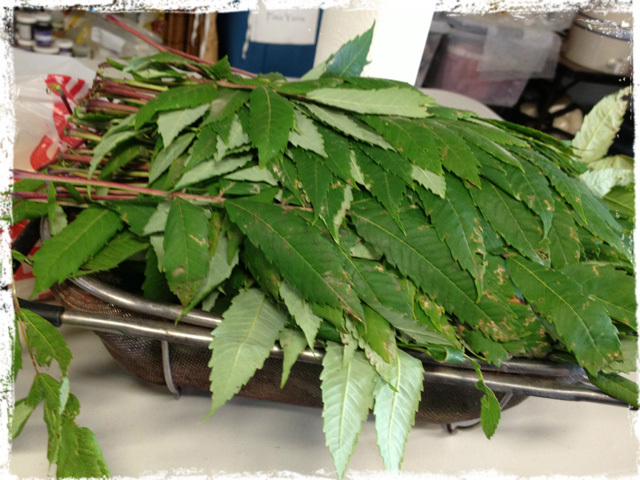 Sumac leaves to be used as a a mordant for indigo dyeing. 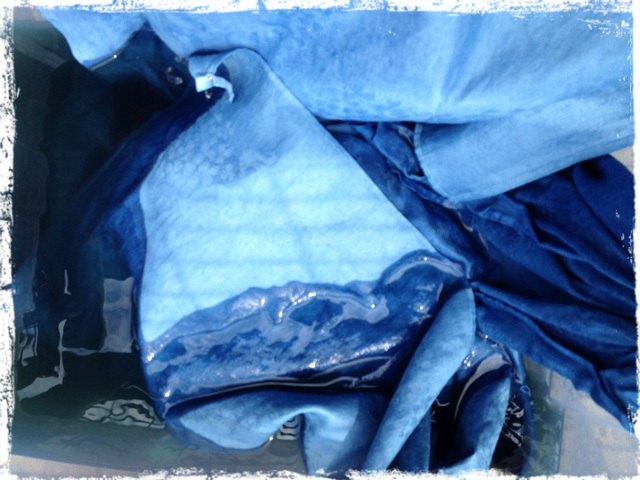 Soaking damask napkins dyed with indigo. 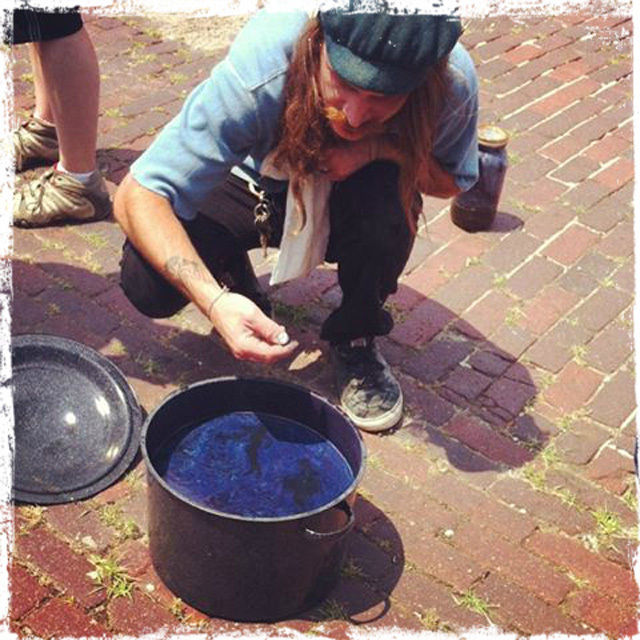 Neil Goss tests the indigo dye bath. 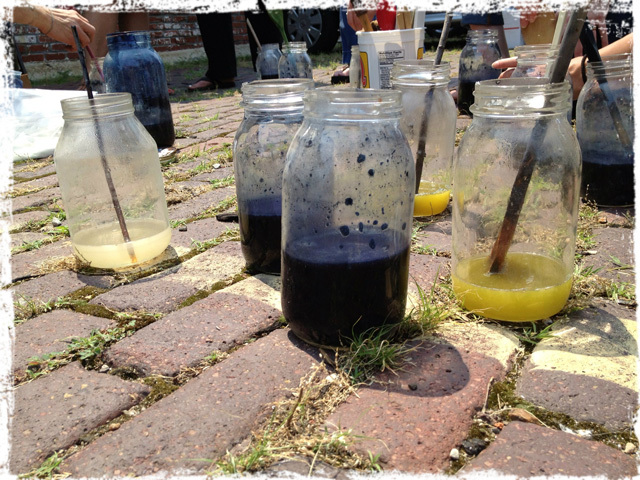 Mixing indigo dye solution and mordant. Finished indigo projects drying on the line.